– Loyalty is important – to your family, your friends, and your sports teams. My dad grew up cheering for the Cleveland Indians and Browns, so his loyalty was tested for many years, but he never stopped rooting for them. One of the best things my dad and I did was to travel to Detroit to see the Indians play the Tigers. It was the first (and only) time in his life he saw the Indians play in person. We went in the summer of 1984, when the Tigers won just about every game they played, but the Indians won that game. – On a related note, he taught me about the pervasiveness of a sports curse. I clearly remember him assigning me to watch the end of one Browns’ game. He left the room because he was clearly bringing them bad luck simply by watching the game. The minute he left the room, they took the lead and never gave it up. I’m sorry to say this same curse came to rest on me after he died. I watched the first half of the January 1988 AFC Championship game against the Denver Broncos, then went for a long walk during the second half to give the Browns a chance. I got back just in time to watch the last five minutes. Anyone who follows football will realize it was actually me who lost the game for the Browns, not Earnest Byner. Sorry about that. – Hard work is a part of life. 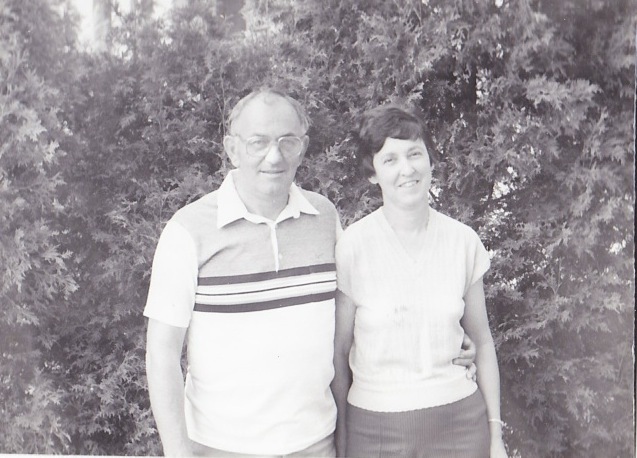 My dad worked long hours as a farmer, and took two other jobs to help make ends meet. That was a powerful lesson about putting your nose to the grindstone and getting the job done. – The examples you set for your kids are more powerful than the words you say. When I was 13, my dad gave up his lifelong smoking habit because he didn’t want to be a bad influence on me as a teenager. He never complained about it or talked about how difficult it was for him. I have never forgotten that. – The person you are isn’t dictated by the car you drive, the house you live in, or even the things you say. It’s the way you treat people, not just in public, but when no one else is around. It’s about being kind to everyone, regardless of whether they’re powerful or powerless. It’s about treating all people as if they really matter – because, of course, they do. Serve these frittata bites to your father, or anyone you love. Happy Father’s Day to my dad, my husband, and every other man who loves his kids. Preheat oven to 350 degrees and lightly brush a 6-cup muffin pan with olive oil. Drizzle large skillet with olive oil and heat over medium heat. Add the onion and cook, stirring occasionally, until translucent and tender, about 4 – 5 minutes. Add salt, pepper, garlic and bell pepper, and continue cooking for about a minute, until fragrant. In a large mixing bowl, add whole eggs, egg whites and fresh thyme. Beat the eggs until fully incorporated and slightly frothy. Add spinach mixture, sun-dried tomatoes and feta cheese. Spoon into prepared muffin tin. Do not fill the cups more than 3/4 of the way to avoid spillage. Cook for 22 – 25 minutes, until eggs are set and top starts to colour. Let cool on a cooling rack for at least 10 minutes before removing frittata from muffin tins. Can be served immediately, or eaten at room temperature, with a green salad. 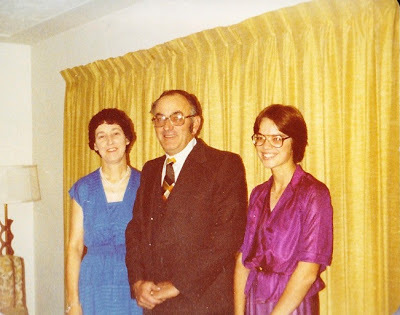 I enjoyed going back in time through your photos of your family! And these savory tarts sound so delicious Beth. 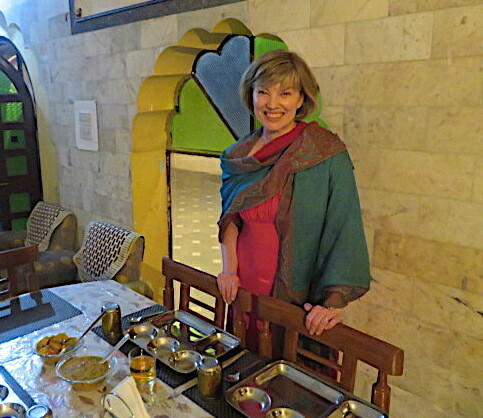 Thanks for stopping by my blog so that I could find yours to follow your posts! I know all about that sports curse thingy! 😉 Exceptionally nice post. Good recipe too, but your comments bout your dad were so nice and interesting – thanks for sharing a bit of both of you. Oh, I meant to do a what I learned from my father post this year and totally forgot. Great idea. Ahhh, there's always next year! Your dad sounds like a really special guy who taught you a lot of important life lessons. Loyalty is crazy important. LOVE your old family photos…what treasures. And the lessons learned from your father are the same we try to show our children. I had to giggle at the sports superstition…we see that here, too. 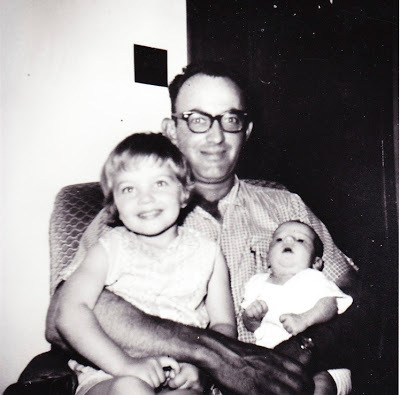 A sweet and lovely tribute to your father, Beth. These frittata muffins are delish! Wonderful post, Beth. And speaking of sports curses, I had to laugh. Have always thought that about myself and have left the room for the same reason, or turned off the set. Funny. thanks for sharing the photos and memories of your dad, a fitting honor. and the frittata bites looks terrific! Your dad sounds like a wonderful wonderful wonderful man! Who had a lot of great lessons to disperse. My dad was similar about sports…he was a Mets fan through thick and thin! What a lovely tribute, and the recipe sounds delicious! This is a beautiful tribute to your father. It is very important for a child to grow up with deserving parents from which he or she will take priceless life lessons! The frittata bites look great, I love the everything in bites size. What a great tribute to your father! Hope you are having a great week. 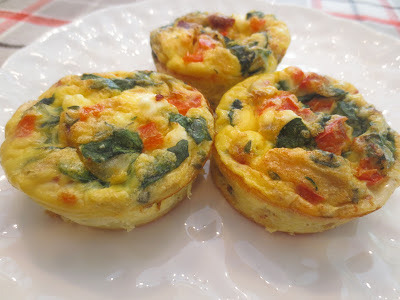 Beth, this is truly a wonderful tribute to your dad and I love the recipe for the mini frittatas – all healthy and delicious and with such wonderful ingredients as spinach, feta and sundried tomatoes – delicious! Lovely words, Beth, and so interesting to learn a little about your father. He sounds like a special man! Those are wonderful lessons 🙂 Love the bites! What a sweet, moving post – such a joy to read! =) And those fritatta bites look absolutely delicious.